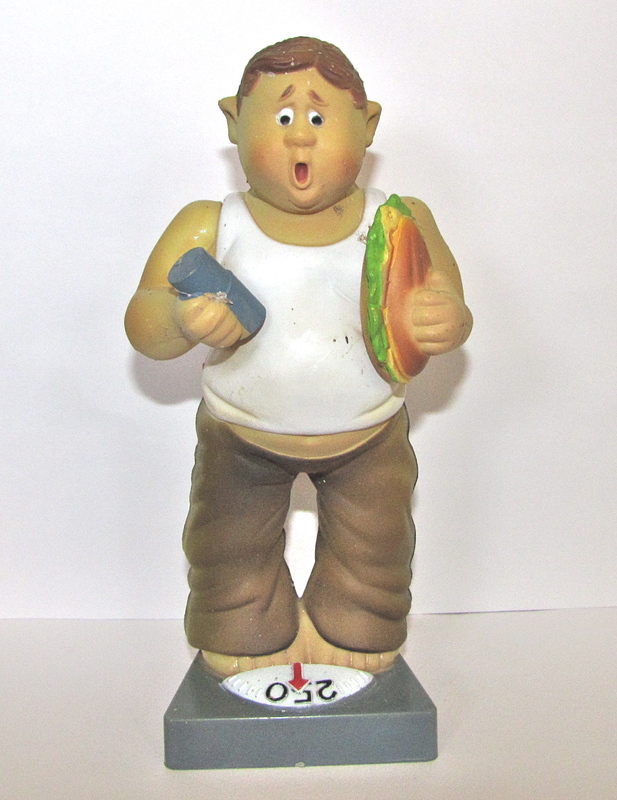 The wording on the underside of the base indicates him to have been a 1978 promotional item for Great American Male Cologne. Wonder what fragrance would have been appropriate for a man with his obvious attributes? “Odd Spice” perhaps? Whatever it was, I am guessing it would have been sold by the six-pack. 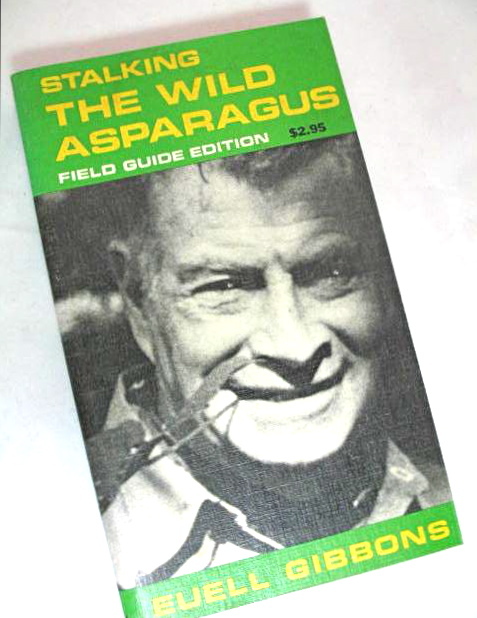 Not wild asparagus, as featured in this first Euell Gibbons book published in 1962, but the other food that made the naturalist a household name (and the subject of much playful satire) in the 1970s. Hate to tell you, yes he is, if someone is asking you whether or not he is collectible. 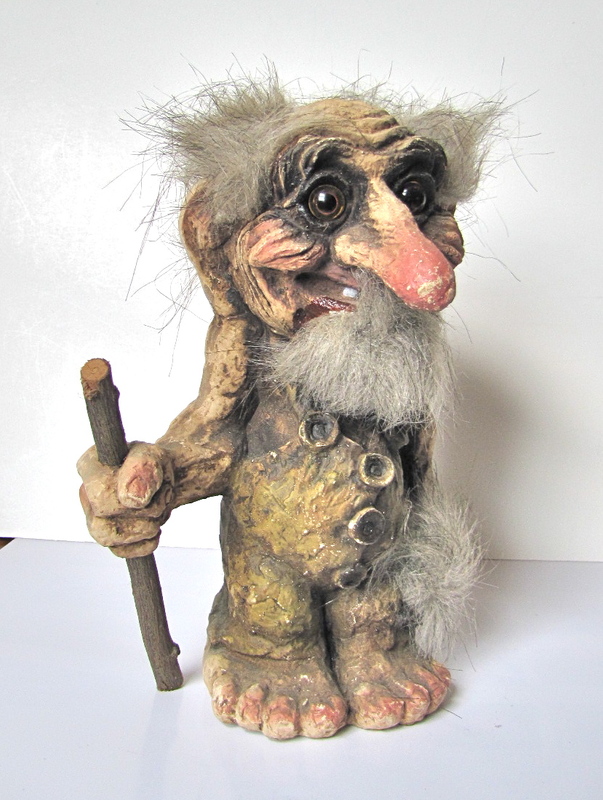 I picked him up at a yard sale for 50 cents from a woman who was glad to see the gruesome guy go, and didn’t care that he was handmade in Norway. It didn’t take me long to find an on-line buyer who was more than happy to pay his $25 adoption fee. 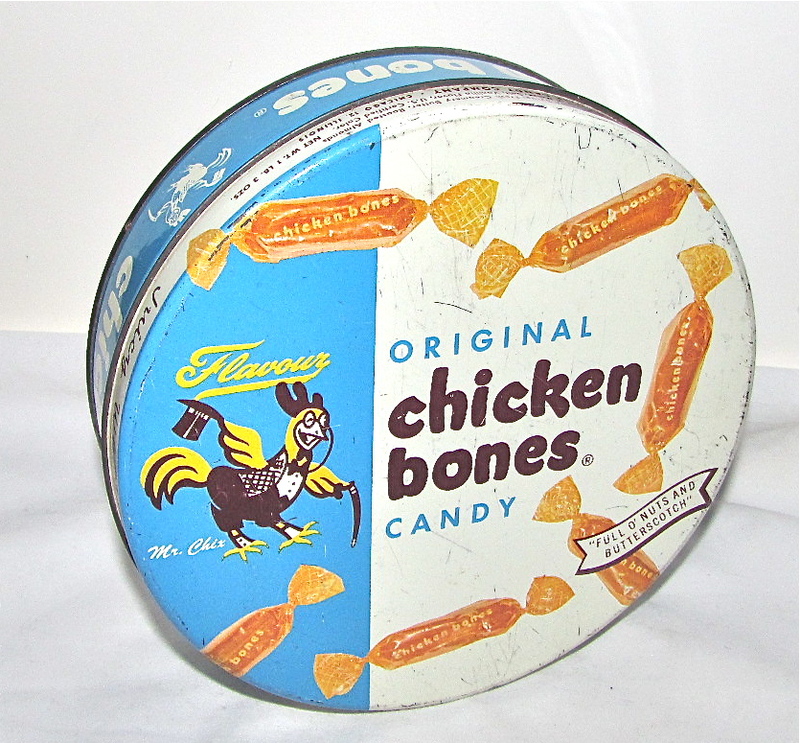 There seems to be scant information available as to the ultimate whereabouts of the dapper Chicken Bones mascot. It looks as though he long-ago disappeared into advertising oblivion, along with his oddly named candy. 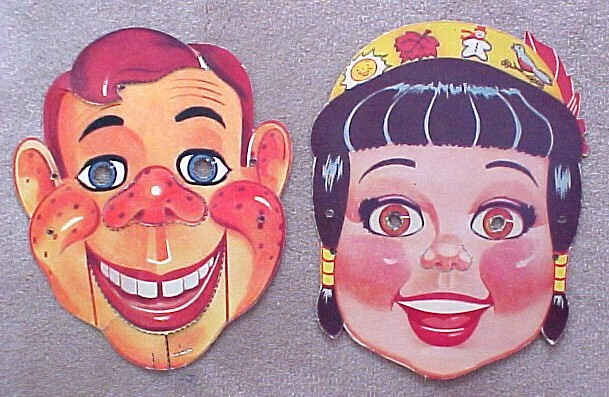 He’s Howdy Doody, but who’s she? Hint #1: She’s a Princess. Hint #2: what she is wearing on her head tells you her name. If you guessed her to be “Princess SunLeafSnowmanRobin”, sorry to say you are incorrect. You have to think symbolism here. I think I saw him on Broadway in ’88. Oops, looks like he made his debut in 1888, not 1988. Guess that was just a wee bit before my time. I acquired this photo-post card in a huge box of ephemera. In layman’s terms, that’s collector-speak for old paper, as in post cards, pamphlets, ticket stubs, advertisements, and the like. The more literal definition is anything transitory (love that word), meaning not meant to be retained or preserved, although, judging by the tonnage of this sort of thing that turns up at flea markets and yard sales, it seems obvious that transitory does not always apply. 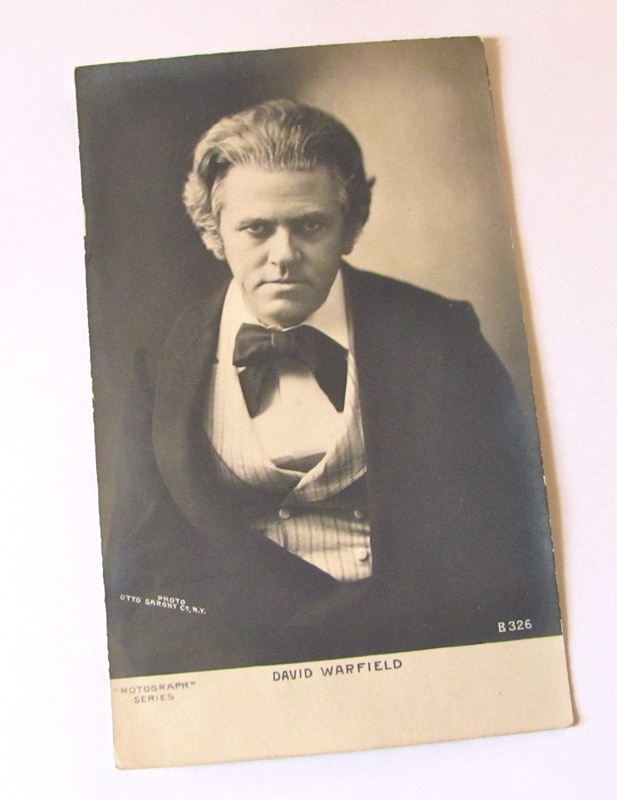 FYI, according to Wikipedia, one of Mr. Warfield’s best known roles was that of Anton von Barwig in “The Music Master”, a part he played more than 1000 times during the years 1904-1907. I’ll have to ask around and see if anyone I know remembers attending one of his performances.